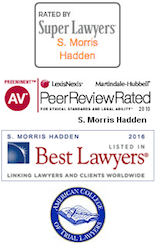 Mr. Hadden is a Fellow of the American College of Trial Lawyers who has tried more than 200 jury trials. He has represented lawyers, dentists, pharmacists and insurance agents in professional liability, and has participated in products liability litigation involving medical devices, automotive products, ladders, cranes and air rifles. He has represented Fortune 500 companies, corporations and individuals, as well as electrical and gas companies, and has advised companies in matters pertaining to insurance coverage, arson and fraud. 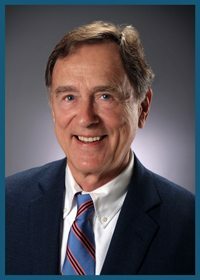 Mr. Hadden has served as local counsel in anti-trust/class actions for credit card, sporting equipment, international chemicals and cigarette manufacturing companies. Mr. Hadden’s practice focuses upon a variety of commercial, corporate and insurance litigation, including trial and appellate practice in state and federal courts. He has significant experience in matters concerning anti-trust and business litigation involving several national and international corporate clients. He is admitted to practice before the U.S. Supreme Court, and the U.S. Court of Appeals for the Fourth Circuit and Sixth Circuit. Mr. Hadden served as a special agent for the Federal Bureau of Investigation for three years following graduation from law school. He lives in Kingsport with his wife, Anne, and has a son, Rob, who is an attorney in Mt. Pleasant, South Carolina.